She Inspires Me is a Nonprofitunity original series that provides a digital intersection of philanthropy and amazing girls and women in history. Welcome to the debut volume dedicated to the sweet memory of my best friend from high school, Stacey Barton Johnson, whose 43rd birthday would have been today. The Diary of Anne Frank (also know as The Diary of a Young Girl) is the true story of a Jewish teenage girl with a literary gift who died in a concentration camp during World War II. In her diary, she describes her life and deep thoughts while she and her family lived in a Secret Annex hidden behind a bookcase. She left us a timeless message of courage, hope and respect. On her 13th birthday in 1942, Anne chose a red and white checkered autograph book with a small lock on the cover as her birthday present. This otherwise ordinary book would become her world-famous diary. Her last journal entry was dated August 1, 1944. Three days later, Anne and the others hiding in the Secret Annex were arrested and taken to Auschwitz. Not long after, Anne and her older sister Margot were taken to the Bergen Belsen camp. Both Anne and Margot contracted typhus, and it is believed they died just a few days apart in early March 1945. The diary is on permanent exhibition in the “Diary room” at the Anne Frank House in Berlin. Anne Frank would have turned 84 this year. Anne Frank’s legacy moves forward through a variety of charitable, educational and cultural efforts. Her story was literally brought to life with a Broadway production in 1955 that led to a Tony Award and Pulitzer Prize, as well as a film in 1959 that received three Academy Awards. Over the years there have been plays, movies and musicals based on Anne Frank across the country and around the globe. In 1957, a dedicated community group rallied to save the Frank family hiding place in Amsterdam by establishing the Anne Frank House museum. “The faces of Anne Frank” is an original series of paintings by Myra Roberts [myraroberts.com]. The Anne Frank House located in Washington, D.C. was established in 1987 as a community service project of Adas Israel Congregation. Originally established as a single home providing housing and services exclusively for women, today the organization provides permanent housing to homeless men and women with chronic mental illnesses within Washington, DC. The Frank family’s former apartment in Amsterdam where Anne Frank spent her childhood was renovated in 1997 and is available free of charge to writers, poets or journalists threatened or persecuted in their own country because of their writings. In 2004 the Anne Frank Foundation bought the apartment and partners with the Amsterdam Refugee Town Foundation to coordinate arrangements for guest writers. Masresha Mammo is the 2013 guest writer currently living in the former Frank apartment. On May 2, 2011, Holocaust Martyrs’ and Heroes’ Remembrance Day, the Anne Frank Memorial was dedicated in the Forest of the Martyrs in the Jerusalem hills among six million trees – one for every Jew who was killed. This tribute was made possible by a gift from the Keren Kayemeth LeIsrael-Jewish National Fund. Thirteen-year old’s certainly change the world, and Anne Frank’s legacy continues to inspire another generation of teenagers. Case in point: the Thirteen in 13 writing campaign asking the young people of Britain to tell the Prime Minister what would make a better future for them. Highlights from some of the entries are found in Emma Barnett‘s article “Anne Frank’s legacy: British teenage girls call for David Cameron to lower the voting age” and include bullying, body image and lowering the voting age. Stay up to date on the Thirteen in 13 Facebook page. 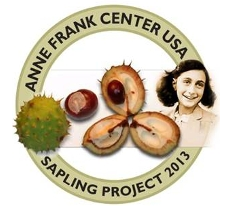 Another recent initiative inspired by Anne Frank is The Sapling Project. The Anne Frank Center USA launched the initiative in 2009 and announced earlier this year the eleven sites chosen to receive a sapling in addition to a national educational component: Confronting Intolerance Today: Lessons from Anne Frank. The program is designed to promote “justice and tolerance in American,” along with a speaker series and temporary exhibits. Learn more about Confronting Intolerance Today and get involved at Speak up. 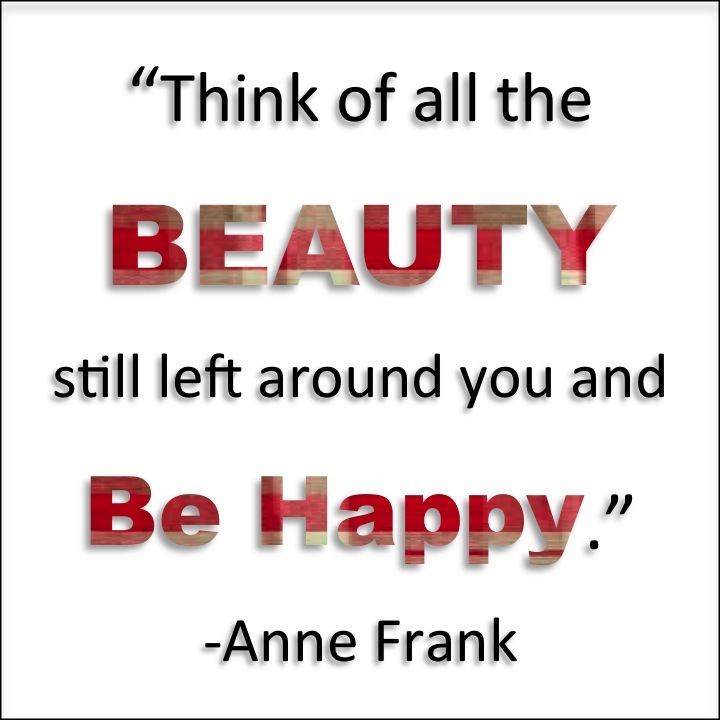 I invite you to learn more about Anne Frank and her philanthropic legacy. The links below may lead you to a better understanding on why She Inspires Me. Does she inspire you? If so, please take a few minutes to share with us in the comments thread. 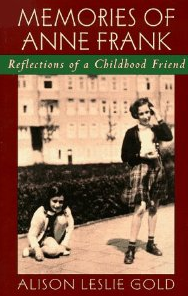 The English translation of The Diary of Anne Frank was updated and published in 1995 with content previously omitted. Interested in collaborating and contributing content to She Inspires Me? Please drop me a line! Welcome to my lil’ part of the web! I have spent the past 24 years working in the nonprofit sector serving community-based causes–educational institutions, arts and cultural organizations, healthcare providers and nonprofit start-ups. I began serving as Associate Vice President of Leadership & Fund Development at Chattanooga State Community College in August of 2013 and was promoted to Vice President of College Advancement and Public Relations in August 2015. I also own a nonprofit consulting business which I started in 2005 and co-founded a legal tech company with my husband in 2011.